A very nice article from the recent IEEE Spectrum Magazine here. The $300 million telecom project will boost speeds or provide service to many areas of Alaska for the first time. TERRA was completed in October after six years of construction when engineers installed its final microwave repeater. 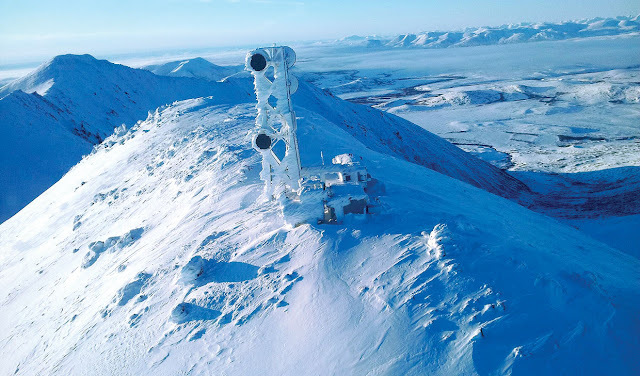 The network uses a combination of repeater data links and fiber optics to form a giant, 5,000 kilometer ring around southwest Alaska — a sparsely populated region with few paved roads and wilderness areas larger than West Virginia. With TERRA, Kotzebue residents now pay $59.99 per month for an Internet plan with download speeds of 3 Mb/s, which is not even fast enough to stream a high-definition movie. To be able to do that, they would need to pay at least $149.99 per month for 6 Mb/s. Compare that with New York City, where residents pay an average of $55 per month for 25 Mb/s. So was it worth $300 million to bring slightly better Internet to approximately 45,000 people in 84 rural villages spread out over an area roughly the size of Germany? For GCI, it was a strategic move. The project was completed as more customers began to watch more content online. Large clients such as hospitals and schools in rural communities also needed better access to the outside world. Partly thanks to TERRA, the company welcomed $12 million in new revenue for Internet service in the first three quarters of 2017, while losing $8 million from its cable-TV division. 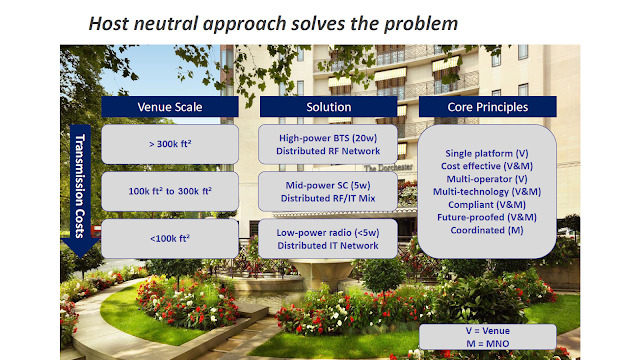 If you like to learn more about different backhaul types, see our short video tutorial here. The annual Telco Infra Project (TIP) Summit took place recently in California. As always, there are some great presentations that have all be shared online here. The video of the presentation is embedded below but the two images above are the main points of discussion from this presentation. 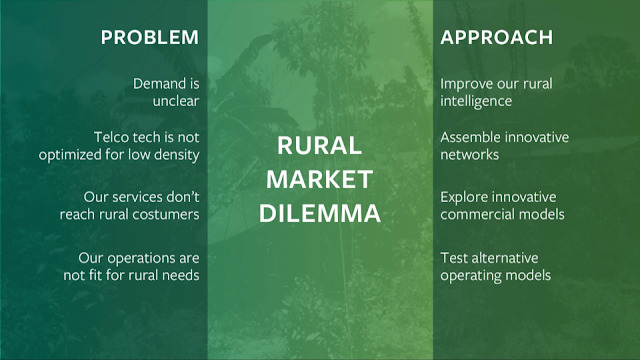 The first image shows the challenges and possible approaches to solve them. 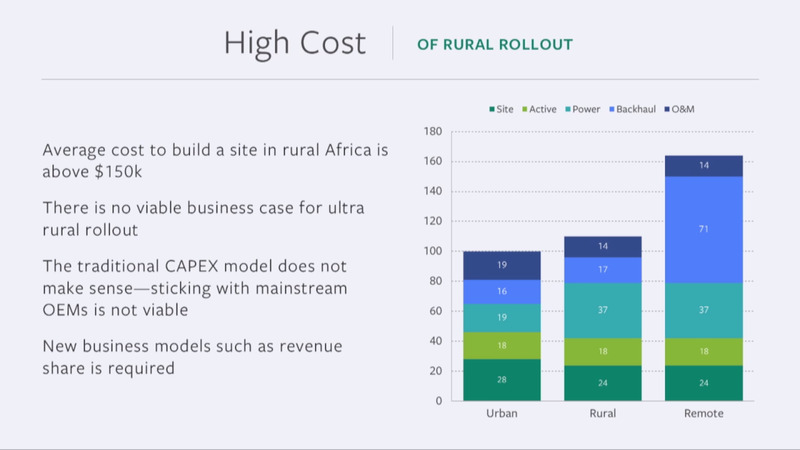 The second one highlights the important point that the traditional infrastructure costs are just too high to provide connectivity in rural and remote locations. A slightly surprising point that the speaker, Navindran Naidoo, Executive, Network Planning & Design, MTN Group brought up was that they are still looking to rollout 3G networks. 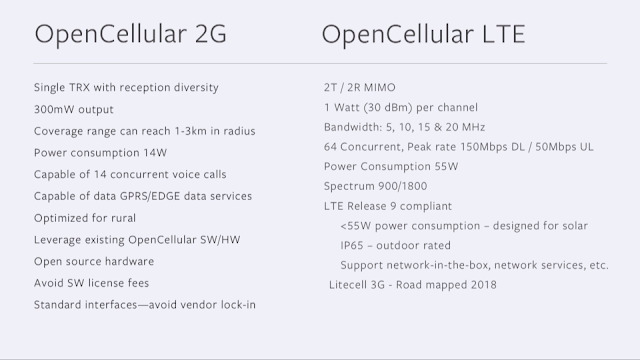 In an earlier post on 3G4G blog, I talked about how the developing nations will ditch 3G in favour of 2G & 4G so this is a bit of a surprise. 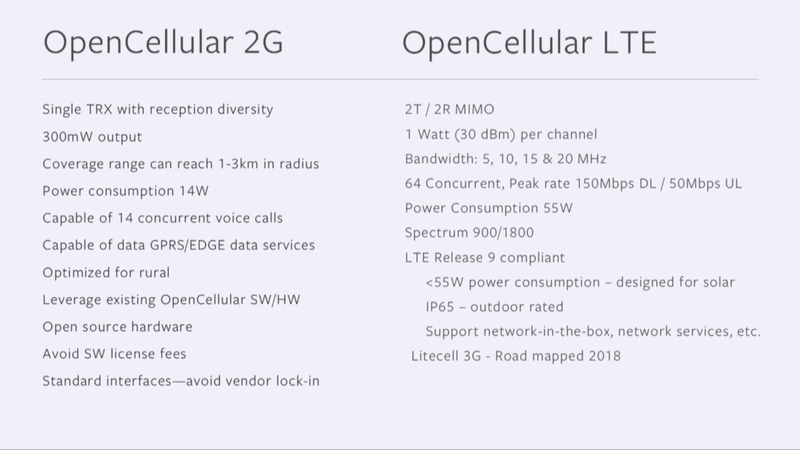 Even the OpenCellular project is focusing on 2G & 4G as can be seen below. Steve Song in his blog post here highlights some good points. He points out that not enough 4G devices have reached African markets, VoLTE has still not matured and also operators have 3G spectrum available today or they can re-farm 900MHz. Anyway, here is the video from Navindran Naidoo, Executive, Network Planning & Design, MTN Group in TIP Summit 2017.